Israeli soldiers fired, on Sunday at night, several missiles and artillery shells into areas in northern Gaza and injured 19 Palestinians during protests near the fence; the Israeli army said one soldier was hurt by an explosive. 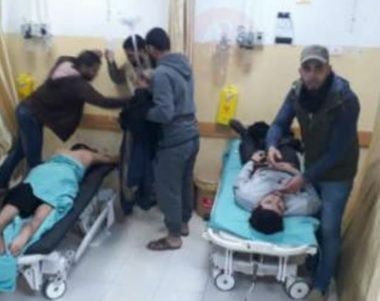 The Palestinian Health Ministry in Gaza said the 19 young men, were injured during protests near the fence, east of Jabalia, in northern Gaza. It added that the wounded Palestinians were moved to the Indonesian hospital, among them one who suffered life-threatening wounds. 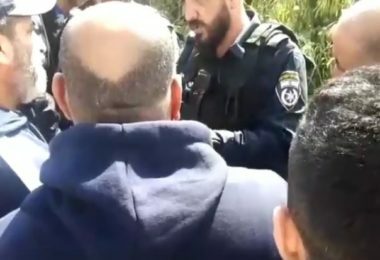 Israeli Ynet News said the protesters also “hurled what appears to have been an explosive,” wounding the soldier. Furthermore, the Israeli army fired shells at an observation post, east of Jabalia, and at another site, north of Beit Hanoun, in northern Gaza, causing damage but no injuries.